Some of the slots have a function to double the winnings; usually, it is called gamble or double. This function gives you a chance to double several times your winning amount, which you get from free spins or line hit. We recommend you to use this function but use it wisely. Today we will tell you how to do it, at first let’s discover how it works. 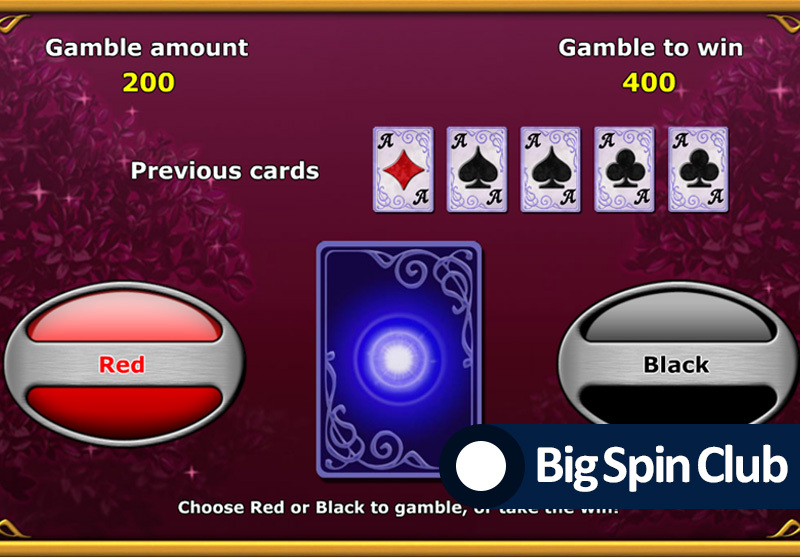 Usually, slot offers to the player to choose the colour of next playing card – red or black. In case of right players’ choice, the current amount of winning is doubled. As you think the player has a 50% chance to win in this case, however, the choice of card is not random at all. The more amounts you bet for double, the more additional parameters slot has to count in a decision to let you double. Those parameters are: your current winning or winning in the current slot, your total winning, the current condition of the slot. That is why using the double function you shouldn’t test your luck. The optimal strategy for doubling is not to double more than 10x from your bet. For example, you gamble with a bet of 1 euro, and you have a line with 2 euro win, that winning you should double only twice. This strategy will let you win more in a long period. In slots with no bonuses, you need to double. Providers of such games compensate the absence of bonus with good chances to win bylines and in doubles. Some slots give you a safe chance of double. For example Igrosoft or Endorphina slots. In them, while doubling you need to choose a card that beat dealers’ card. If dealers’ card is two, then you have no risk to lose even if you choose two too. Please note that you shouldn’t double big sums. In short distance, you probably can win, but in long-distance doubling big sums is a bad strategy.